Dogs are amazing! Dogs are a lot of work! And here is the perfect book to help a child understand what is involved in living with one. Lively illustrations show a variety of children learning what makes their dog tick, as they train them, care for them, and play with them. But most of all, it celebrates the fact that dogs are truly awesome companions—who are always happy to see you, and who can even sing, laugh and dream with you! 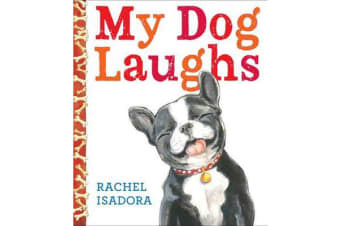 Rachel Isadora’s love for our canine friends shines through on every page, as she shares some of the best—and most exasperating!—things about having a dog.